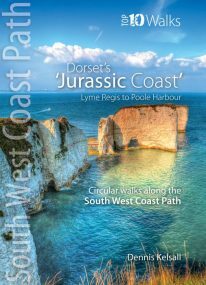 The ten walks featured here highlight the best short circular walks along Dorset's iconic 'Jurassic Coast' section of the South West Coast Path. The Dorset coast is perhaps the most varied of the whole south western peninsula, encompassing glorious beaches, towering cliffs, detached stacks, long shingle banks and picturesque coves and inlets. The handiwork of man both past and present is there too, in settlement, quarrying and even oil extraction. But there is little to detract from the coast’s overall beauty — and the coast’s huge range of habitats is reflected in the sheer abundance of flowers and wildlife you’ll experience along the way. 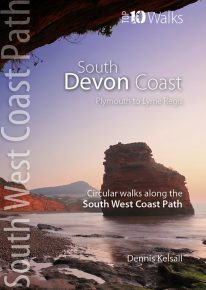 The ten walking routes featured here highlight the best short circular walks along the South Devon Coast section of the popular, 630-mile long South West Coast Path (SWCP). Devon has been described as one of England's most beautiful counties, its south coast encompassing everything from superb sandy beaches to soaring cliffs and tiny, secluded coves to sweeping bays. Meandering estuaries and narrow lanes wind to time-forgotten villages and fishing settlements, where flower-decked, thatched cottages and perhaps an inviting country pub cluster around an ancient church. The five book series of 'Top Ten Walks' covers the whole of the SouthWest Coast Path. Each book explores the highlights along the way; showcasing its natural beauty, wildlife and heritage. Once you've tasted what this section has to offer, you may be inspired to come back to tackle the complete trail. 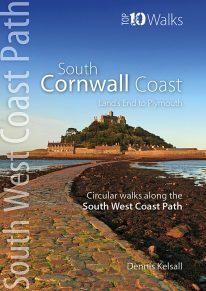 The ten walking routes featured here highlight the best short circular walks along the South Cornwall Coast section of the popular, 630-mile long South West Coast Path (SWCP). Running from Land's End at the very western tip of England to Penlee Point, guarding the entrance to Plymouth Sound, Cornwall's deeply convoluted south coast is infinitely varied, ranging from rugged cliffs braced against the full force of Atlantic waves to the sheltered Cornish Riviera where the weather, scenery and flora can be almost Mediterranean. Large towns are few, but attractive villages, hamlets and harbours abound, usually with a welcoming pub or café not far away. The five-book series of 'Top Ten Walks' covers the whole of the UK's famous South West Coast Path. Each book explores the highlights along the way; showcasing its natural beauty, wildlife and heritage. Once you've tasted what the South Cornwall section has to offer, we think you'll be inspired to come back to tackle the complete trail. 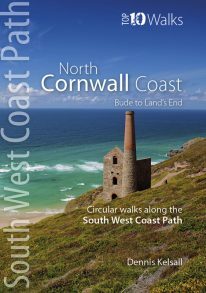 The ten walking routes featured here highlight the best short circular walks along the North Cornwall Coast section of the popular, 630-mile long South West Coast Path (SWCP). From Bude to the western-most tip of England at Land's End, Cornwall's northern coast has a character all its own. Much of its 140 miles is set against the open Atlantic, whose winter storms and thundering waves have sculpted a rugged coastline of formidable cliffs. Tiny, wave-washed coves and zawns contrast expansive beaches and dunes, the wild scenery often spilling offshore to half submerged reefs, stacks and rocky islands. The holiday resorts of St Ives and Newquay can attract summer crowds, but elsewhere, the coast is often deserted, with only birds for company and the delights of nature as distractions. The five-book series of 'Top Ten Walks' covers the whole of the UK's famous South West Coast Path. Each book explores the highlights along the way; showcasing its natural beauty, wildlife and heritage. Once you've tasted what the North Cornwall section has to offer, we think you'll be inspired to come back to tackle the complete trail. 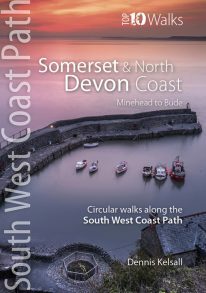 The ten walking routes featured here highlight the best short circular walks along the Somerset and North Devon Coast section of the popular, 630-mile long South West Coast Path (SWCP). Exmoor's fringe of majestic cliffs, secluded coves, ragged wave-washed rocks and rich coastal woodland is a stunning prelude to the long distance trail. Further west are Devon's glorious beaches but also an ever-more rugged coastline, which curves to the battering Atlantic surf. Large settlements are few, but occasional picturesque hamlets and villages grew around coves and small landings where fishing and seaborne trade (not always above board) supplemented the traditional farming way of life of the hinterland. Nature complements the intrinsic beauty of this landscape; seabirds abound on the cliffs and shore, while the lush and sometimes rare flora of unspoiled cliffs, native woodland, rough pasture and dunes supports smaller birds and countless butterflies. The five-book series of 'Top Ten Walks' covers the whole of the UK's famous South West Coast Path. Each book explores the highlights along the way; showcasing its natural beauty, wildlife and heritage. Once you've experienced what the Somerset and North Devon section has to offer, we think you'll be inspired to come back to tackle the complete trail.